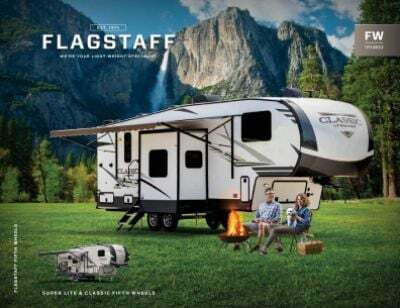 Begin your RV lifestyle with the 2020 Forest River Flagstaff Super Lite 26FKBS Travel Trailer! Gillettes Interstate RV in beautiful East Lansing, Michigan has been one of the leading, full-line RV dealers in the state for over four decades! We offer door to door 24/7 delivery anywhere in North America, so whether you live a few blocks away from our convenient location at 7210 E Saginaw St East Lansing Michigan 48823 or live across the country, we can have you in your dream RV before you know it, at a price you'll absolutely love! Give us a call at 517-339-8271 and let our friendly, knowledgeable staff make your dream come true! Long-distance trips are no problem with this reliable RV, which boasts a hitch weight of 796 lbs. and a GVWR of lbs. There is a 21' 0" awning that's easy to open, so you can lounge outside in the fresh air without suffering from a nasty sunburn! 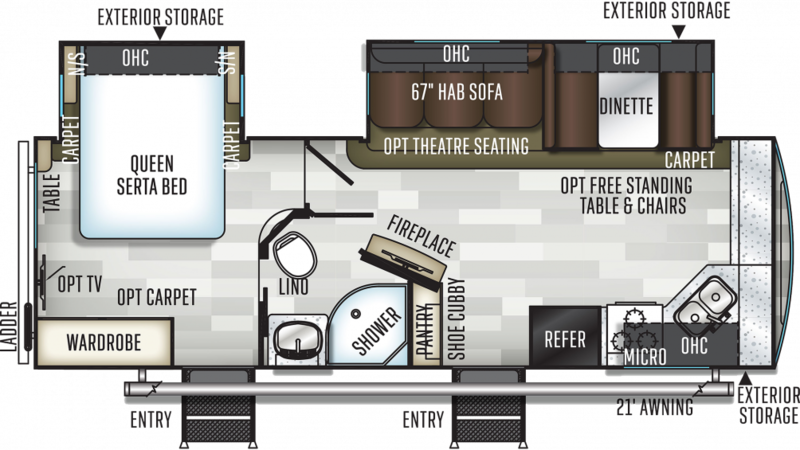 RV living will be comfortable and fun, thanks to the spacious interior. At 29' 11" long and 8' 0" wide, with 2 slides, there's room for the whole family to stretch out and relax. The 13500 BTU a/c unit will keep everyone cool and comfy on those sizzling summer days; and on the coldest nights, the 35000 BTU furnace will keep everyone cozy and warm! Sleep well every night on the trip with the Queen bed inside the master bedroom! 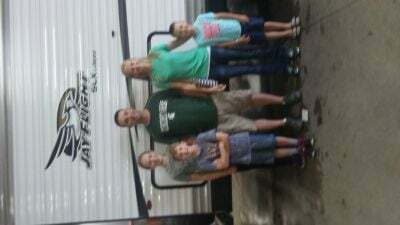 A family of up to 6 people can sleep inside this Travel Trailer!